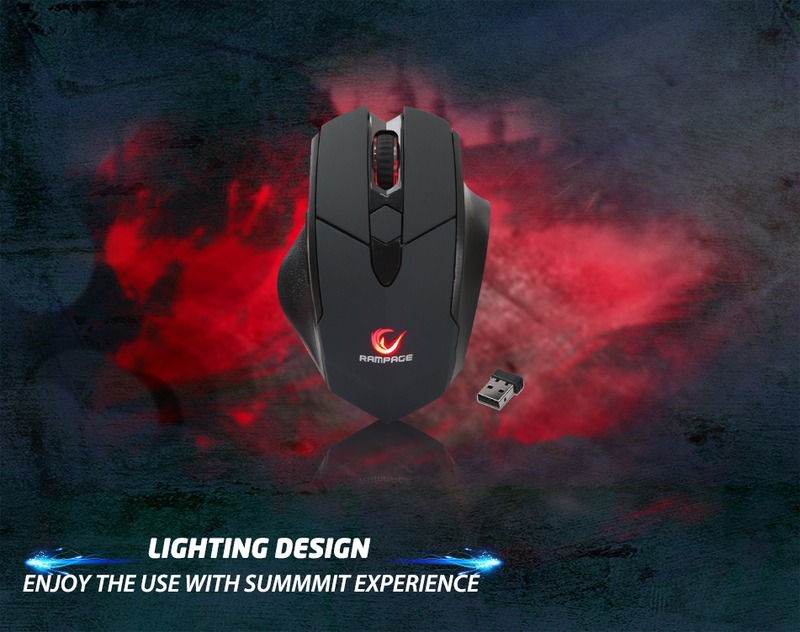 Everest Rampage SMX-R12 Hawker Black 4800Dpi Gaming Wireless Mouse; It uses a powerful 4800 DPI Optical sensor. Its special design provides easy of use and excellent grip. Enjoy wireless use with rechargeable battery and wireless connectivity. 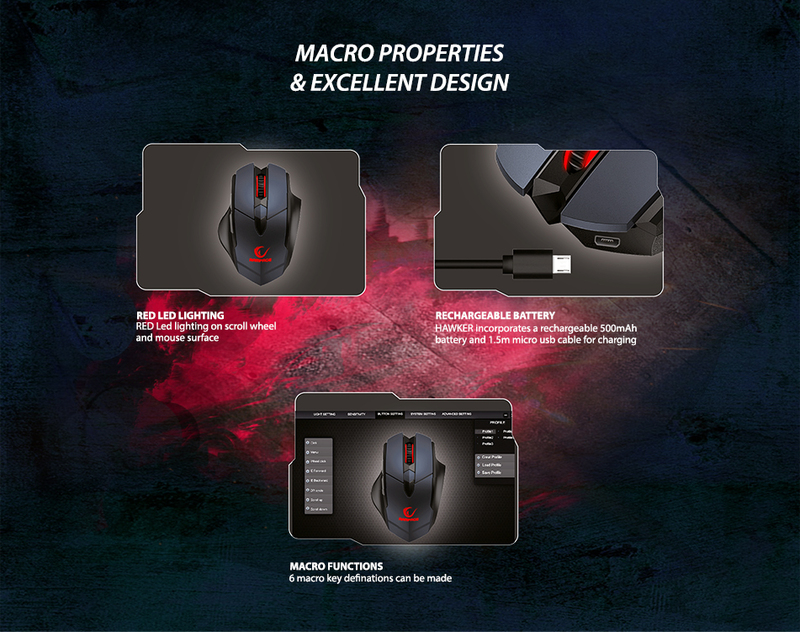 The special design makes HAWKER different from other gaming mouses. 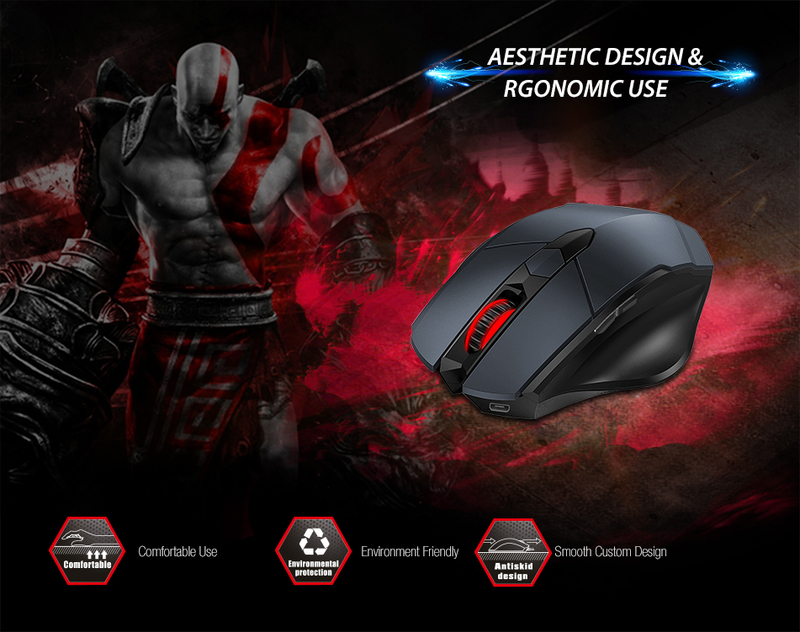 Everest Rampage SMX-R12 Hawker Black 4800Dpi Gaming Wireless Mouse; Enjoy game play with Rampage HAWKER made of high-quality materials with its soft touch structure and unique design! You can easily perform your operations with 4 function keys. 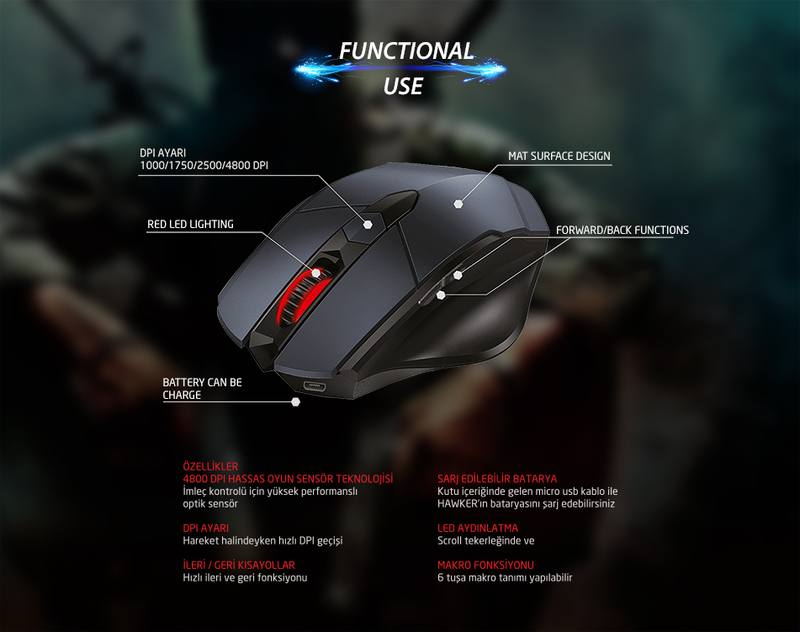 Everest Rampage SMX-R12 Hawker Black 4800Dpi Gaming Wireless Mouse; The Scroll Key on it, DPI function key and forward-back function keys give you easy operation. You will be able to make your operations faster and easier with these buttons. Rampage HAWKER Designed in a comfortable, durable and sensitive form with its soft touch structure. Everest Rampage SMX-R12 Hawker Black 4800Dpi Gaming Wireless Mouse; Designed to fit perfectly into your hand, HAWKER offers you a smooth handling experience. It has visually impressive design with LED light design. 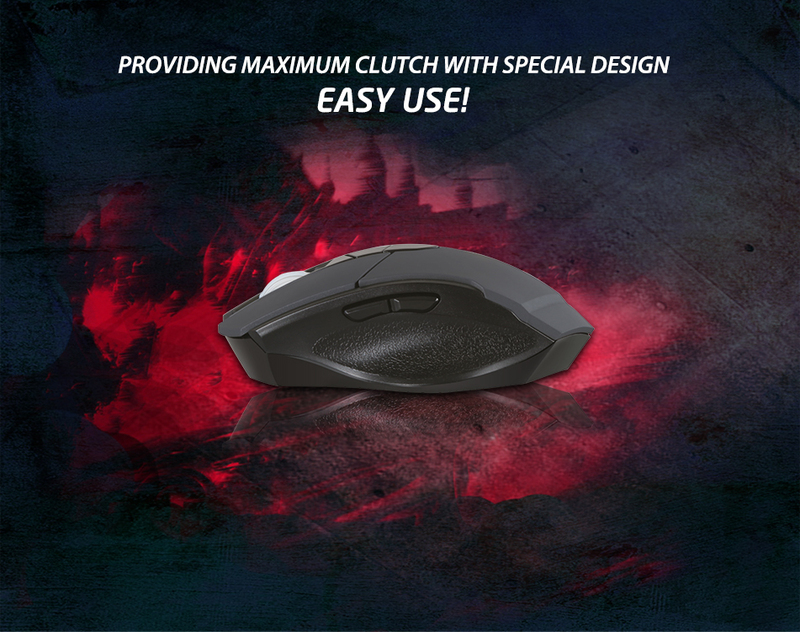 Everest Rampage SMX-R12 Hawker Black 4800Dpi Gaming Wireless Mouse; The folds on the side and special design provide maximum grip and prevent your mouse from slipping out of your hand during play. 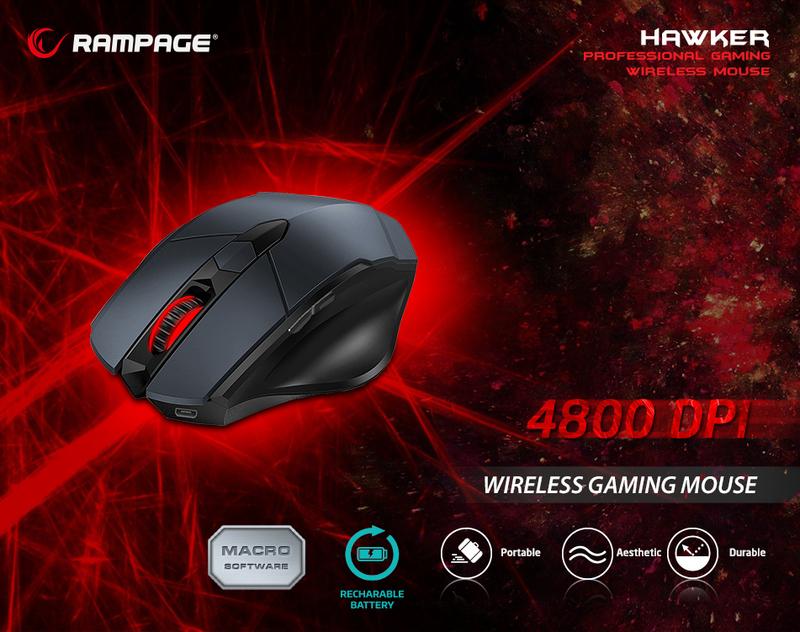 Everest Rampage SMX-R12 Hawker Black 4800Dpi Gaming Wireless Mouse; You can easily and effortlessly use it without wasting time with its plug-and-play feature. 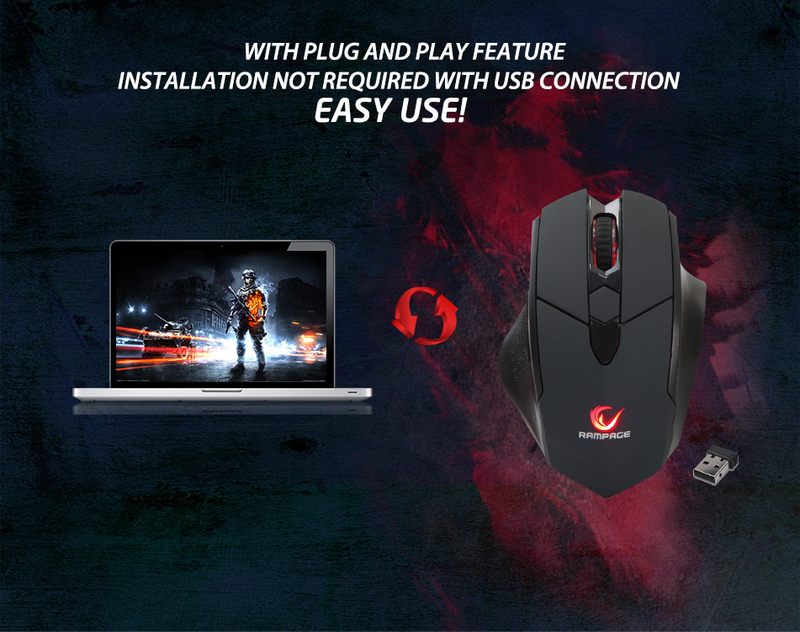 Everest Rampage SMX-R12 Hawker Black 4800Dpi Gaming Wireless Mouse; It is fully delivered to you. Charge easily with 1.5m micro 5 pin charging cable in the package contents. You can define 6 keys to the macro definition according to your own personal use by installing its own macro software.